Delivering as One is the name of a United Nations report established by the then UN Secretary-General Kofi Annan in 2005 on the topics of humanitarian aid and environmental issues. 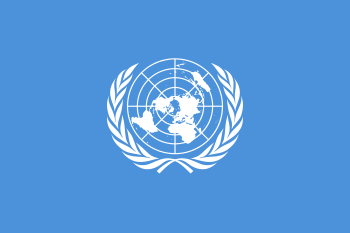 The panel issued its report in November 2006, and sets out a program of reform of the international humanitarian system. It focuses on four main principles: One Leader, One Budget, One Programme and One Office. This effort is mostly led by the United Nations Development Group, a group of 32 United Nations specialised agencies working on International Development issues. As a result, countries — both Government and UN partners — have undertaken efforts to work together more effectively and efficiently. Eight countries—Albania, Cape Verde, Mozambique, Pakistan, Rwanda, Tanzania, Uruguay, and Viet Nam—volunteered to be pilots for the initiative.